Pasarel - French Art Nouveau Bronze Maiden Sculpture By E. Dietrich, Ca 1880. 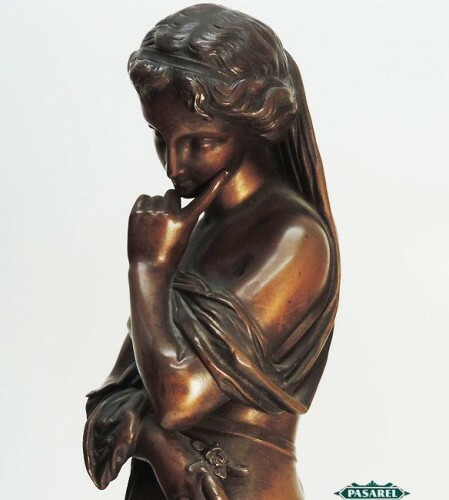 French Art Nouveau Bronze Maiden Sculpture By E. Dietrich, Ca 1880. 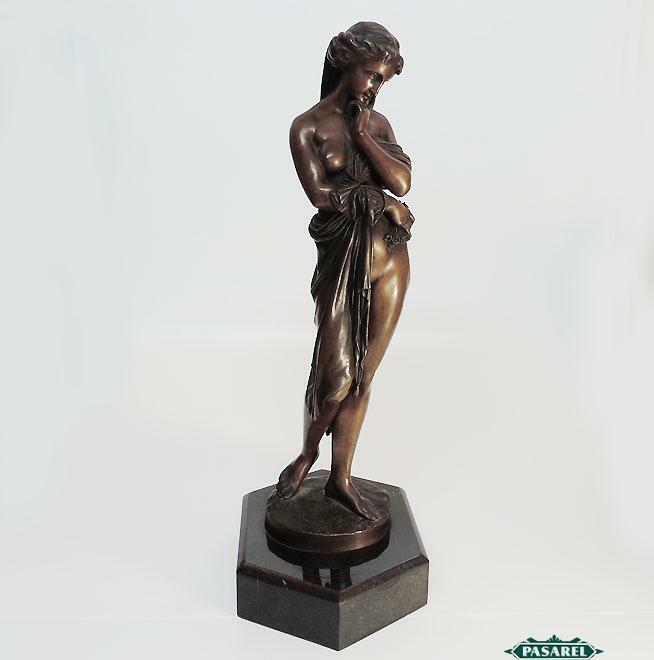 The brown patinated bronze sculpture depicting a half naked maiden glazing downwards with length of cloth draped from the hair across the body and down the thigh, holding a flower bouquet in her right palm. Set on a hexagonal black marble base (possibly later). 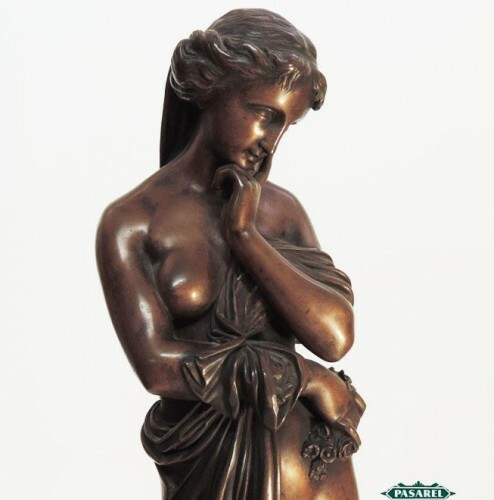 Marked – “E. 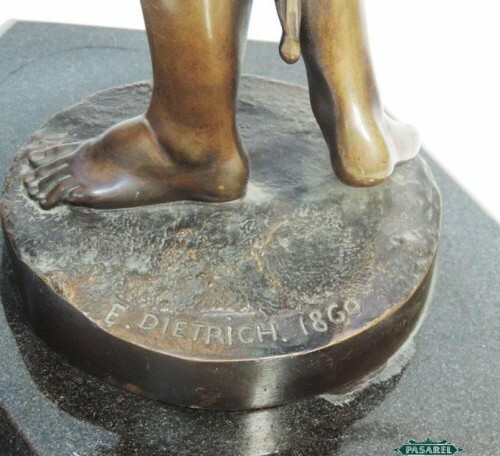 Dietrich 1860″ (we are not sure whether “1860” stands for the year or for the model number etc.). Height – 47.5cm / 18.7in. 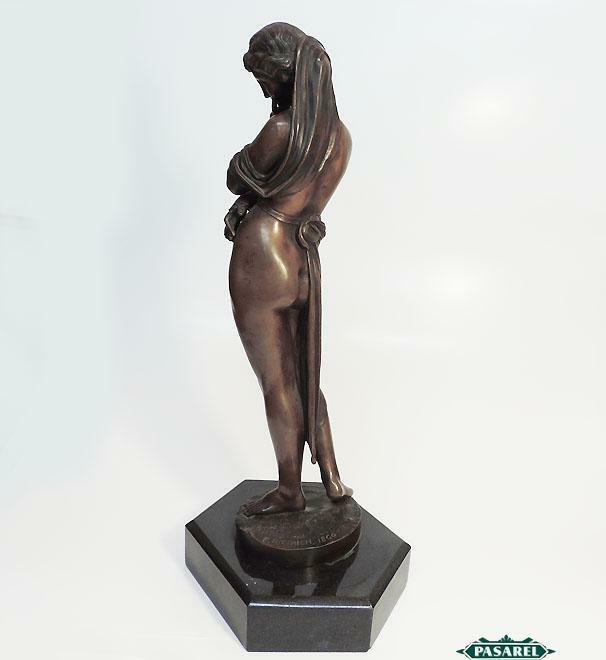 Base – 23.5cm X 16cm / 9.25in X 6.5in.